In 2012, China's daily hardware industry entered the world's forefront: Since 1996, China has established 14 technology development centers including zippers, electric shavers, stainless steel vessels, iron pans, blades, and bicycle locks. Most have become the vanguard of the industry, and some have become the vanguard of the world. China has gradually become a world's largest metal processing country and exporter. China's hardware industry exports are currently growing at an annual rate of more than 10%. Last year, exports exceeded 5 billion U.S. dollars, ranking third in China's exports of light industries. According to experts, in the next two years, China's architectural hardware products will also move toward an intelligent and humanized development path. The developed countries have accelerated the transfer of medium- and low-grade products to the Third World. The transfer of middle and low-end products from the developed countries to the Third World is due to the rapid development of production technology and the high price of labor. 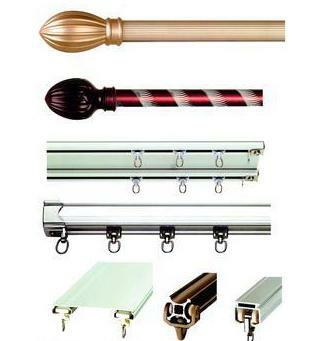 In Europe and the United States, architectural hardware products are designed to be easy to install and maintain, and they only produce high-value-added products. As a new favorite in the hardware market, in recent years, self assembly products and tools have been greatly welcomed by the market. In 2013, in the hardware market, due to the rapid development of production technology and the increase in the price of labor, developed countries in Europe and America transferred universal products to developing countries, and they only produced high value-added products. And China has a strong market potential, so it is more conducive to its development as a major exporter of metal processing. China's hardware market is mainly distributed in Zhejiang, Jiangsu, Shanghai, Guangdong and Shandong, among which Zhejiang and Guangdong are the most prominent. According to relevant survey data, from the perspective of individual hand tool product categories, sleeves are the bulk of exports, hand tool combinations, and garden tools and wrenches ranked fourth and pliers ranked fifth. In terms of exporting countries, the United States ranked first, followed by the United Kingdom, Germany and Japan. In the hand tools market, the demand for American hand tools has stabilized, and while the United States has increased the scale of new housing in the housing market, there are still a large number of existing homes unoccupied, bringing great opportunities for housing renovation. The average vehicle type and age of motor vehicles are getting larger, which has played a certain role in promoting the sales of hand tools in the automotive aftermarket. There is strong demand for forging tools for distribution of electronic products, especially adjustable wrenches. The demand for hand tools in Germany has increased. In Germany, the tools for comfort and labor are the most popular. With regard to the types of tools, power tools are now becoming more and more popular. Cordless tools have become increasingly popular. The new rechargeable tools currently on the market have multiple battery jacks that can be used in a variety of environments. Taiwan's hand tool industry has adjusted its product structure. Taiwan's hand tool industry has certain advantages in the world by virtue of its stable product quality, timely delivery, and complete product range, which can meet customer needs.